When YouTube launched in 2005, no one could have predicted quite how influential the platform would become. Today, YouTube is the second most popular website in the world (the most popular being its parent company, Google), and the YouTube app can be found on mobile phones, tablets, televisions, streaming devices — you name it! 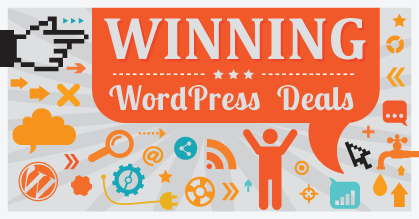 Most WordPress content is still published on regular WordPress sites and blogs, of course. 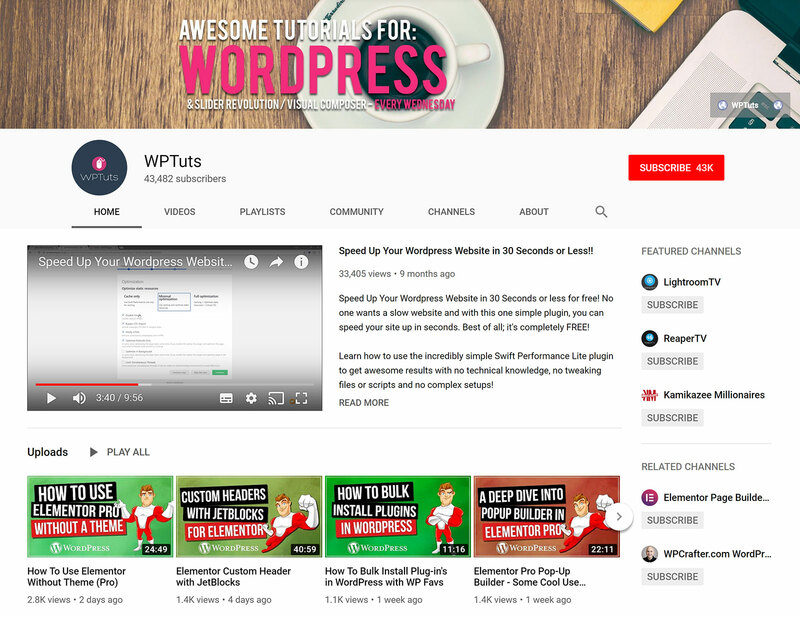 However, there’s a growing number of great YouTube channels that are focused on WordPress, and videos are a great way of teaching others — whether via short tutorials or detailed walkthroughs for more complex topics. Below (listed in no particular order), we’ll be taking a look at more than 15 of the best — and most popular — WordPress-related YouTube channels around today. Automattic publish presentations and tutorials from WordCamps on their website, WordPress.tv. The videos uploaded to the website are hosted with VideoPress, but they also upload WordCamp videos to their YouTube channel regularly — many of which can’t be found on their website. Since the videos are presentations, they tend to be between 15 and 45 minutes long. 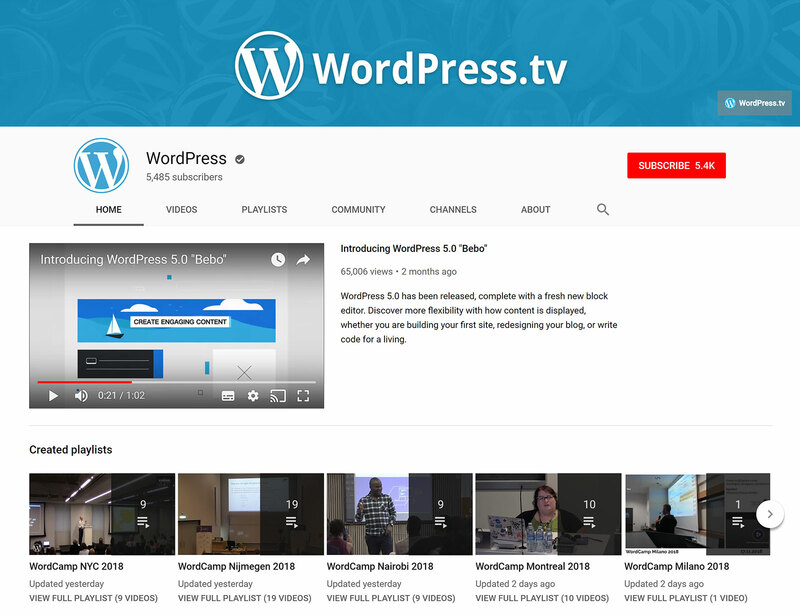 If you’re looking to stay up to date with what’s happening in the WordPress world, and want to see talks from important people in the industry, I recommend checking out WordPress.TV. In contrast to WordPress.tv, the main Automattic YouTube Channel publishes interviews with Automattic engineers. It’s also the channel they use to host WordPress.com video ads. The channel used to publish tutorials on how to use WordPress.com, but it’s been more than a year since the last tutorial. 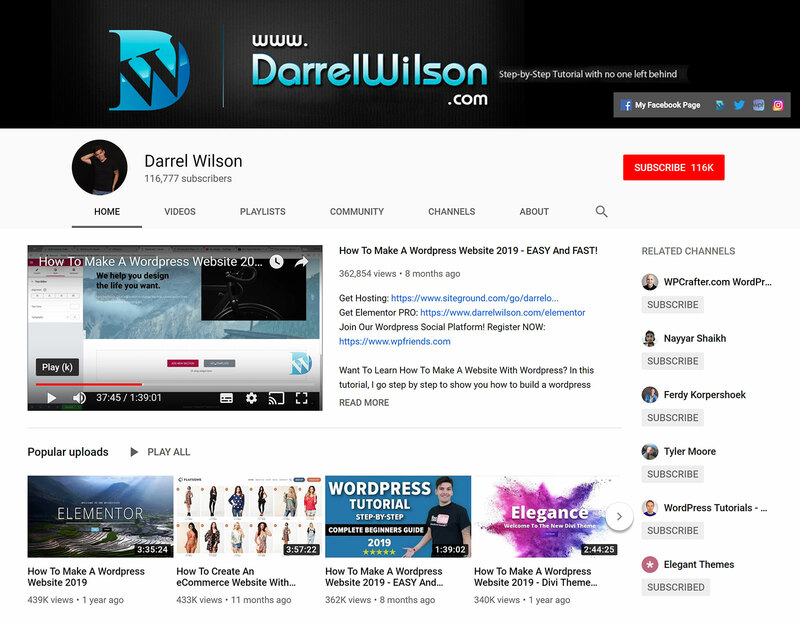 Through his YouTube channel, Darrel Wilson teaches people how to build websites using WordPress. 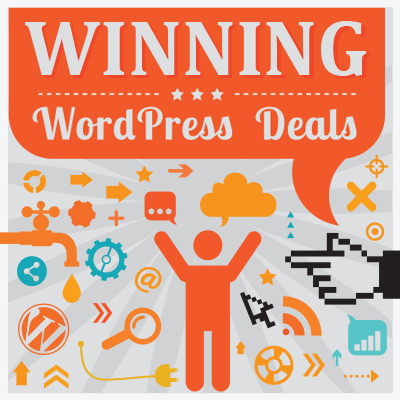 Darrel publishes plugin and theme tutorials and reviews, lists of great WordPress products, and the latest WordPress news. Many of his tutorials are ten to 15 minutes long, but every now and then he publishes in-depth tutorials that are hours long. 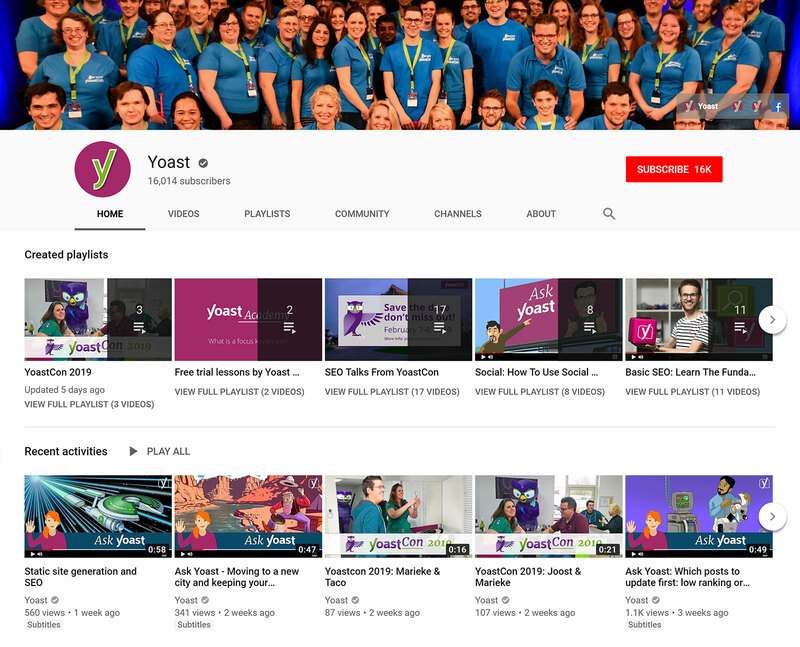 Famous for their popular Yoast SEO WordPress plugin, the Yoast team publish videos on a variety of topics on their YouTube channel. They frequently upload video tutorials for their SEO plugin. However, even if you use a different WordPress SEO plugin, you’ll enjoy their general SEO tutorials that show how you can apply SEO techniques to WordPress websites. The WordPress store ThemeIsle has gained a solid reputation for developing professional WordPress products, such as the business WordPress theme Hestia PRO and the slider WordPress plugin Nivo Slider.  The ThemeIsle YouTube channel is regularly updated with theme and plugin comparisons, theme and plugin walkthroughs, and WordPress optimisation tutorials. 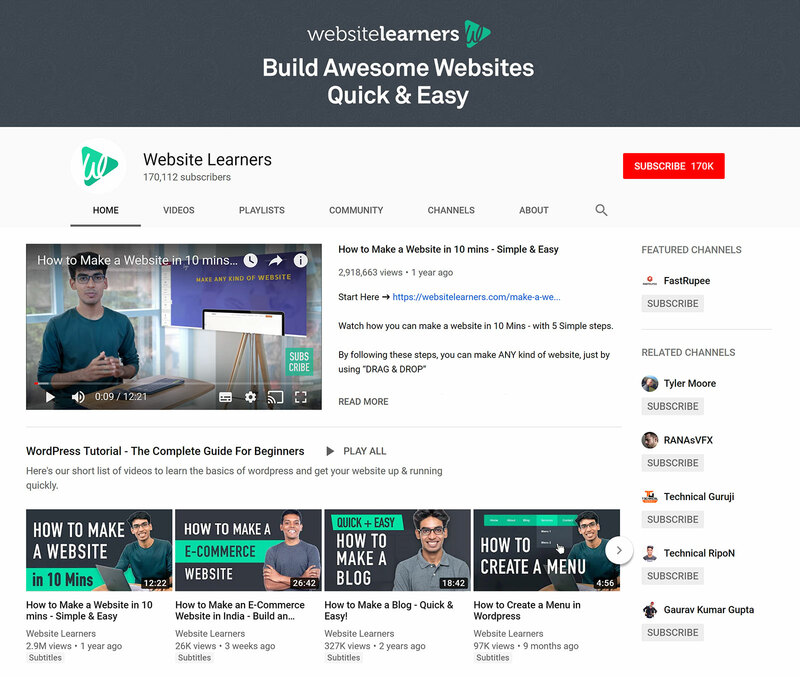 Despite only being two years old, the Website Learners YouTube channel has managed to acquire more than 170,000 subscribers and 5 million views — which is impressive given the small number of videos published so far. Each video focuses on a particular problem, such as how to add a contact form in WordPress or how to migrate your WordPress website. 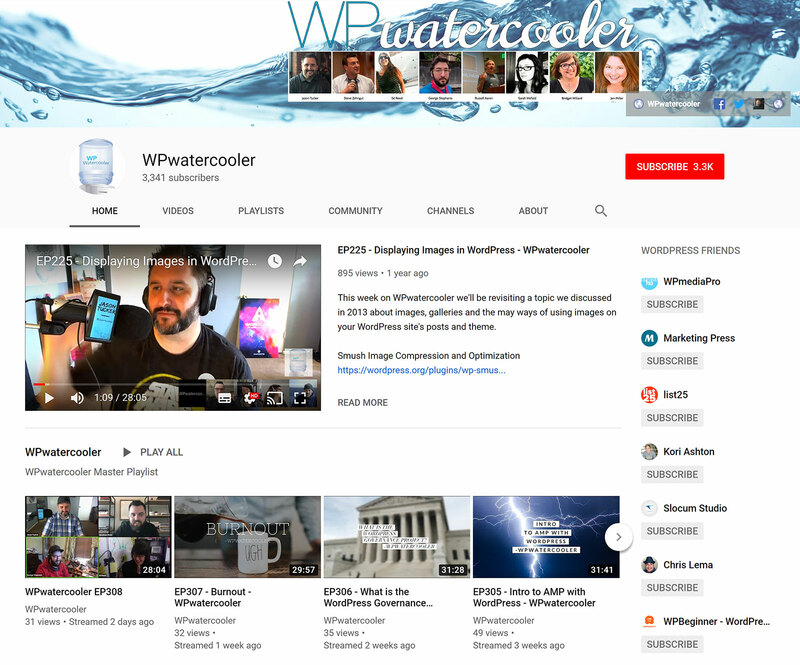 WPwatercooler is a weekly talk show and podcast that’s hosted by web developer Jason Tucker. Most episodes are between 30 and 60 minutes long, and feature a lengthy discussion about a particular WordPress subject with special guests. 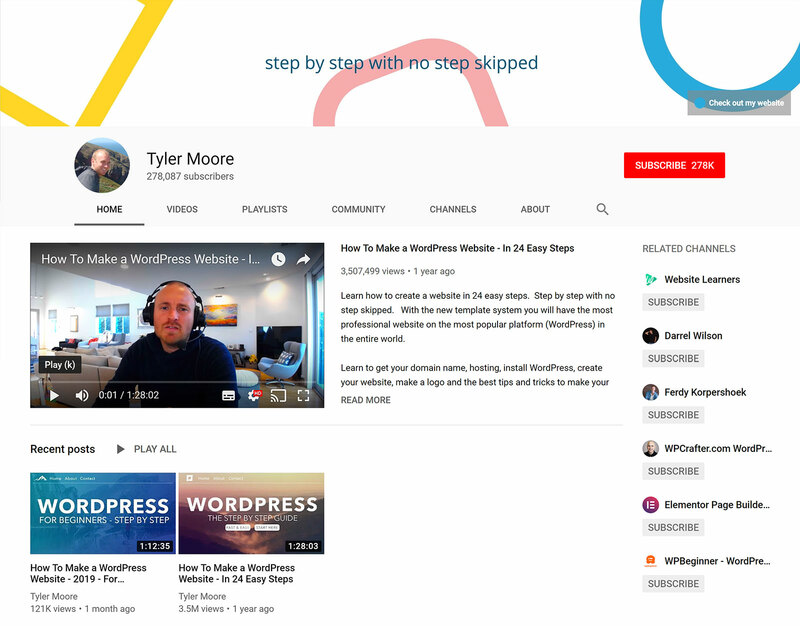 Tyler Moore has one of the most popular WordPress channels on YouTube — with some videos generating millions of views. His channel publishes general WordPress tutorials, as well as guides about popular WordPress plugins, such as page builder Elementor. 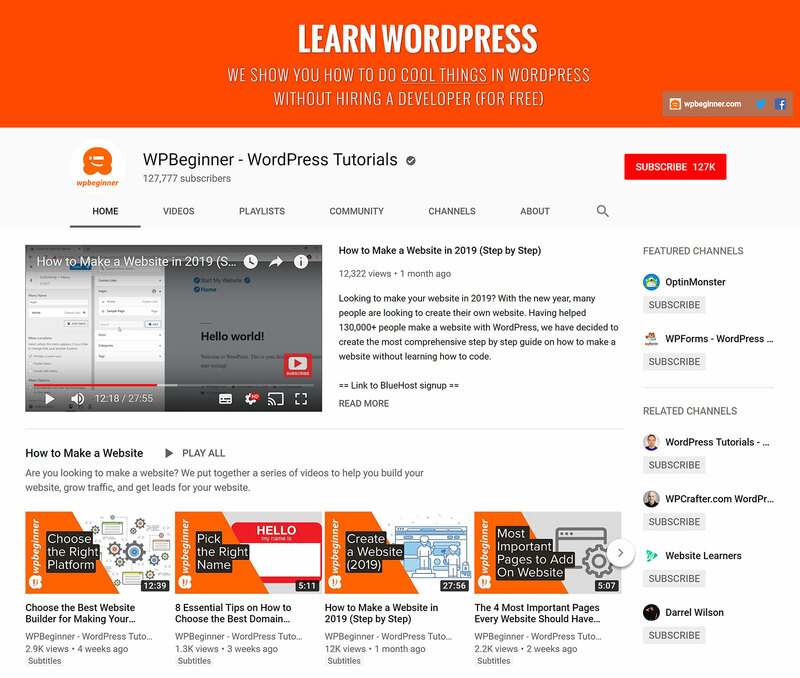 The team behind WordPress tutorial website WPBeginner regularly publish videos on their YouTube channel. Most video tutorials are just a few minutes long, and focus on solving a particular problem. For example, how to add a cookies popup in WordPress, or how to display random posts. 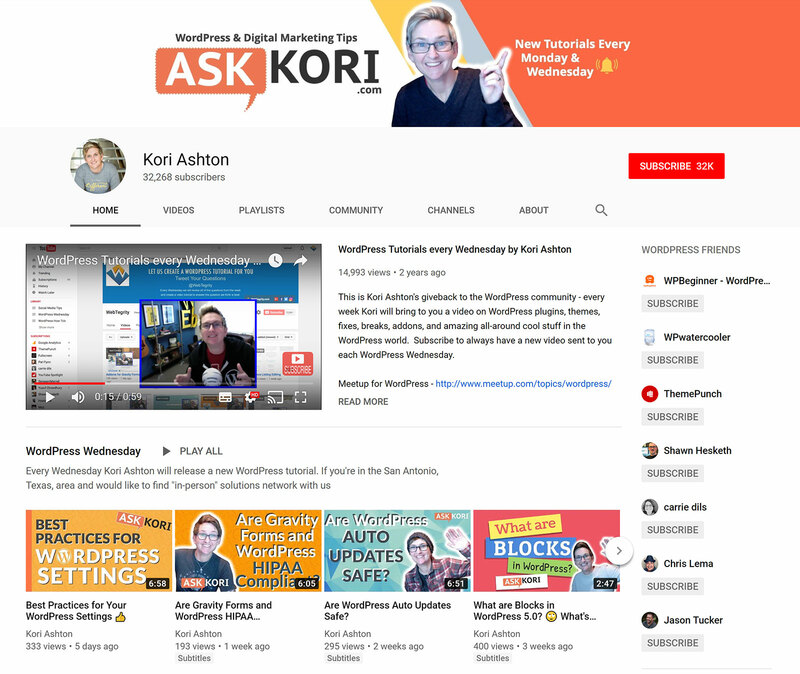 While most WordPress YouTube channels publish videos a couple of times a month, Kori Ashton is much more prolific, posting every few days. Kori covers a wide variety of topics. She regularly talks about news and events, and gives essential WordPress security advice. However, her high-quality tutorials are what set her apart from others. 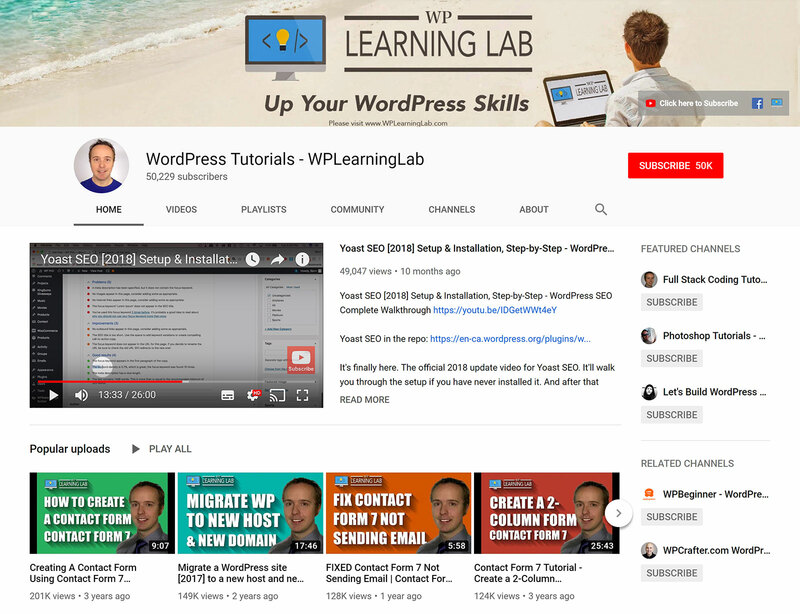 Hosted by Bjorn Allpas, the WPLearningLab YouTube channel routinely publishes WordPress tutorials and tips. 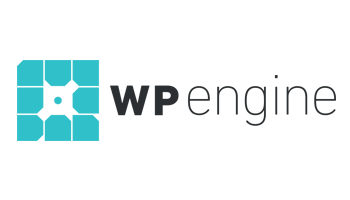 Bjorn publishes tutorials about WordPress themes and plugins, as well as website migration and marketing. WPTuts have taken a different approach to their YouTube channel. Most other WordPress channels do one or two videos about a particular product, but WPTuts go incredibly deep into every plugin and theme they cover. 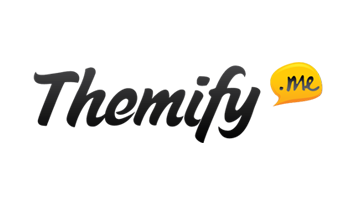 They’ve published more than 80 videos on Elementor, 45 on Slider Revolution, 32 on Visual Composer and 28 on WooCommerce. They publish general WordPress tutorial videos too. 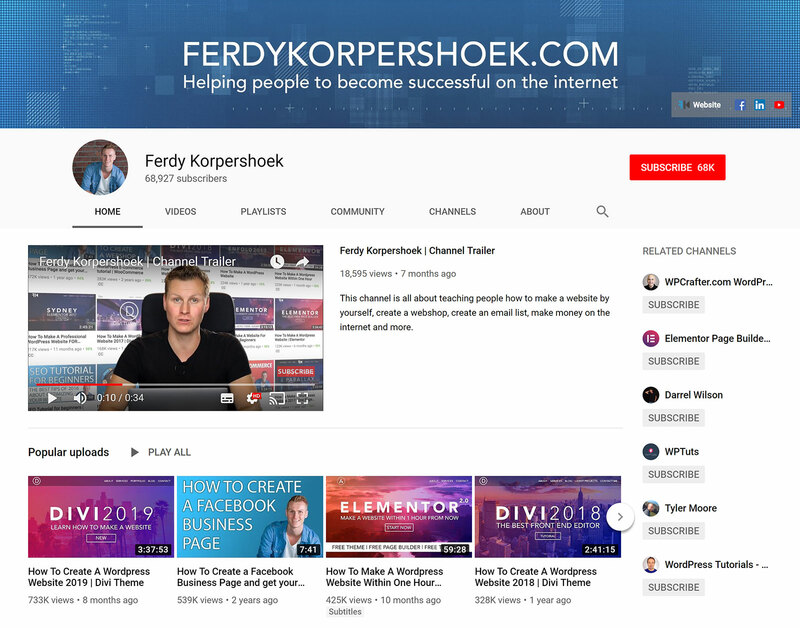 Ferdy Korpershoek covers many different WordPress-related topics on his channel, such as tutorials about Divi and Elementor. You’ll also find general WordPress tutorials and videos about making money online. 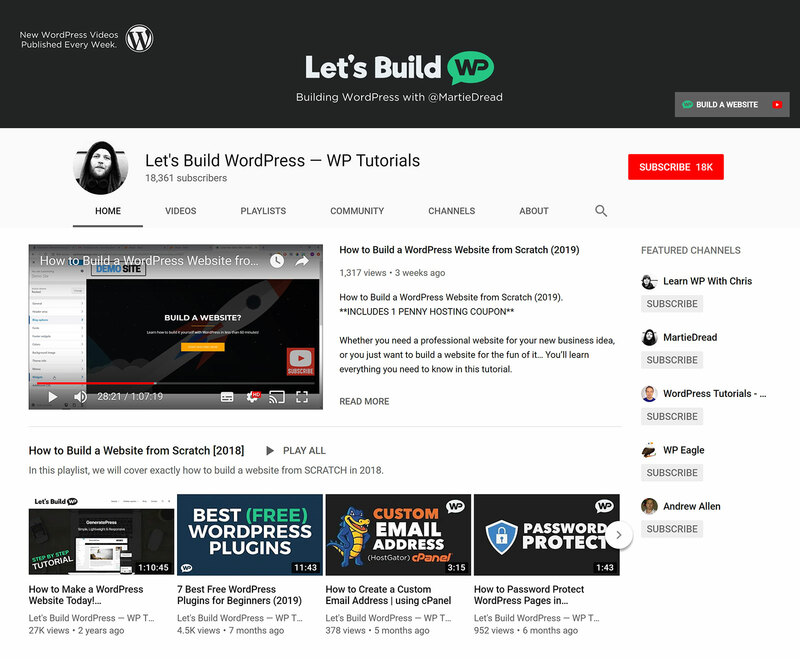 Launched in 2013 by MartieDread, the Let’s Build WordPress YouTube channel publishes WordPress tutorials on topics such as WordPress security, backing up WordPress and configuring your website. 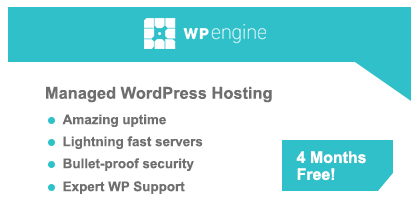 Many tutorials delve deeper and focus on the technical side of hosting a WordPress website. For example, there are great tutorials on setting up cPanel and how to host with companies such as HostGator and BlueHost. 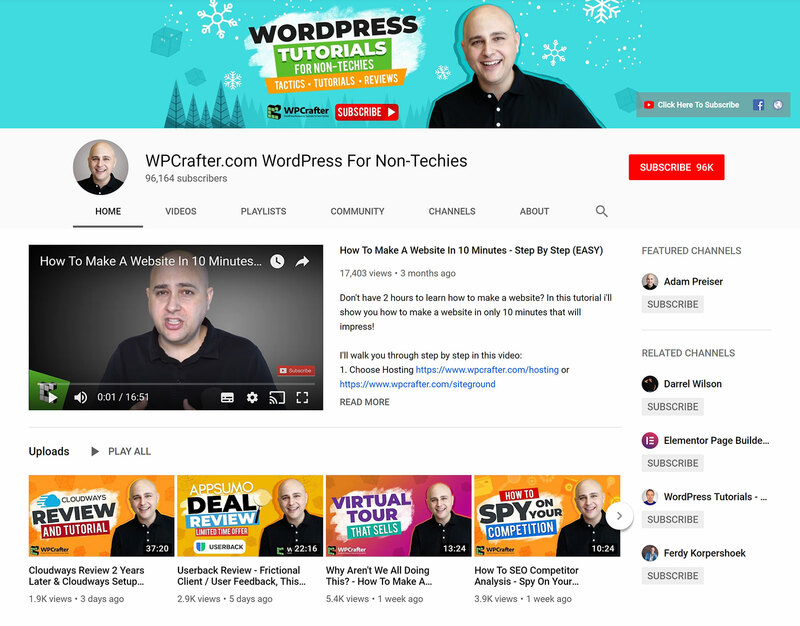 Adam Preiser’s YouTube channel WPCrafter covers everything from simple WordPress topics to advanced subjects for developers. His ‘How to Make a Website’ series of videos are hours long, but most tutorials last about ten to 30 minutes. Be sure to check out his tutorials on popular WordPress plugins such as Beaver Builder. Josh Hall is the professional web designer behind In Transit Studios. He publishes video tutorials on his YouTube channel. 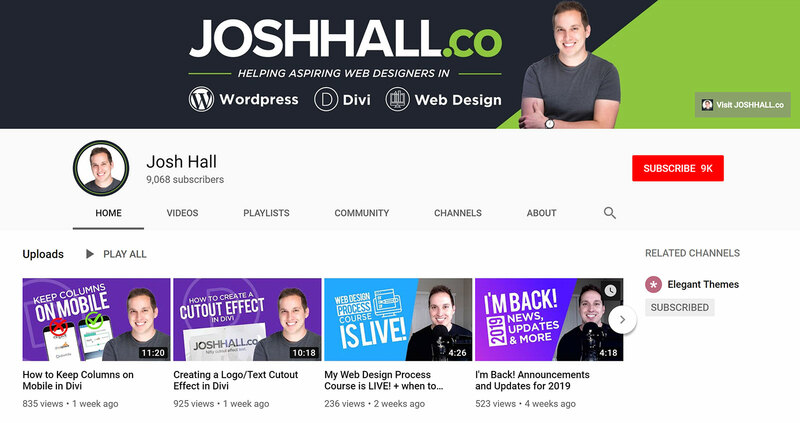 Most of his videos are focused on all-in-one WordPress theme Divi, but he does publish interviews occasionally too. 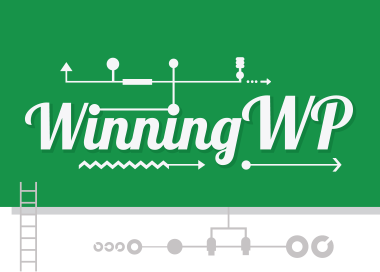 The WinningWP YouTube channel covers everything from tutorials to reviews, website hosting comparisons, and more. If you’re looking to learn more about WordPress and become more experienced with all aspects of maintaining a WordPress website, take a look! 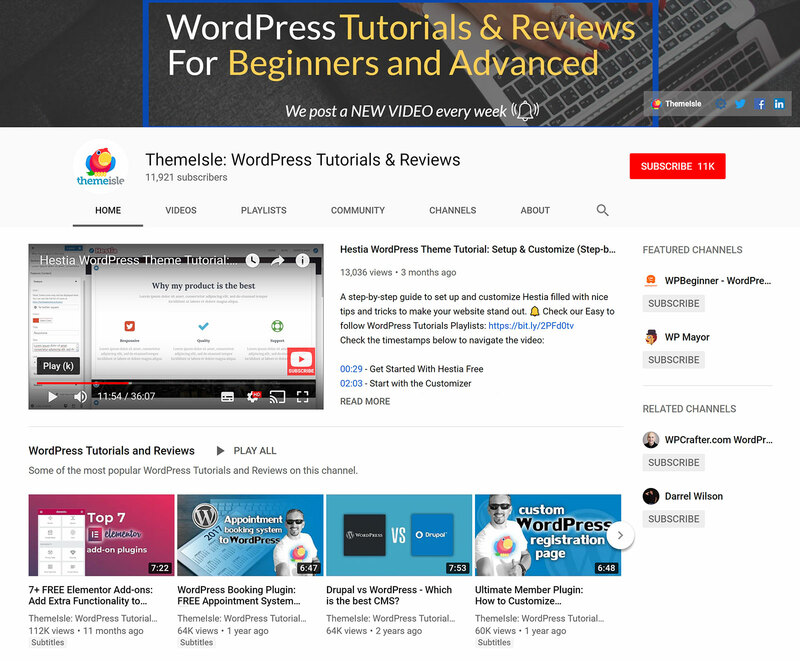 YouTube is a great place to learn more about WordPress and keep up to date with what’s happening in the WordPress world. 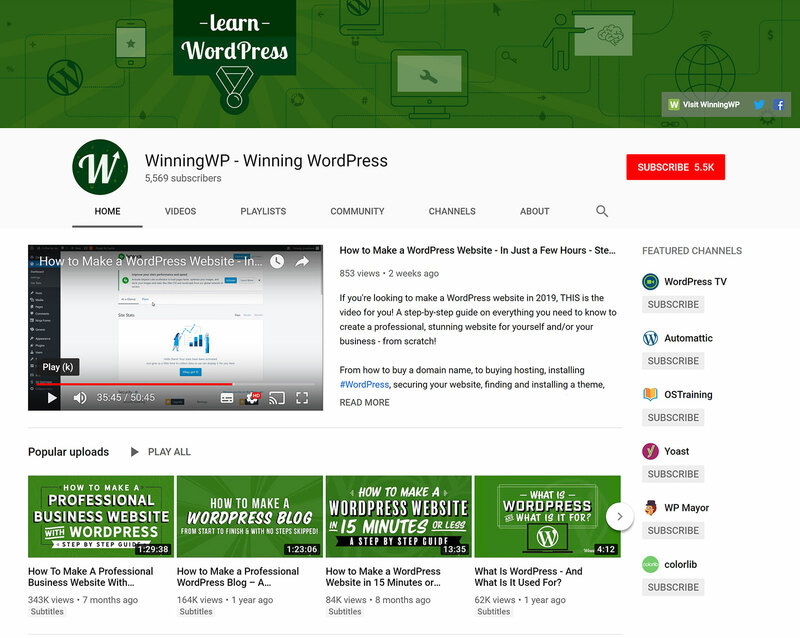 We hope you’ve enjoyed our list, and we encourage you to subscribe to the WinningWP YouTube channel for advice on optimising your WordPress website. 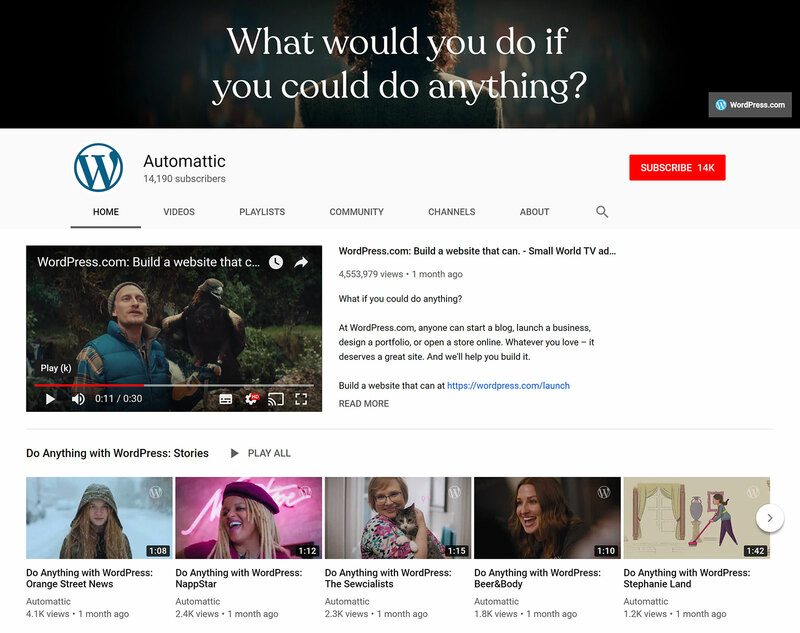 What’s your favourite WordPress YouTube channel? Any others?